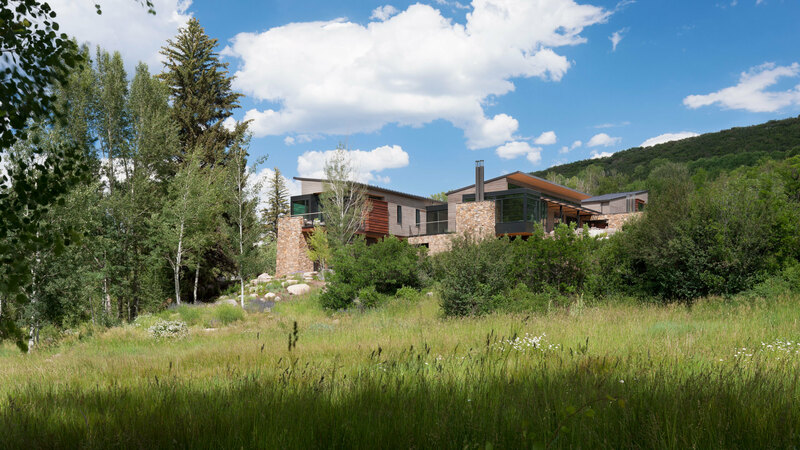 The house is located on a remote five-acre parcel situated above an alpine meadow. 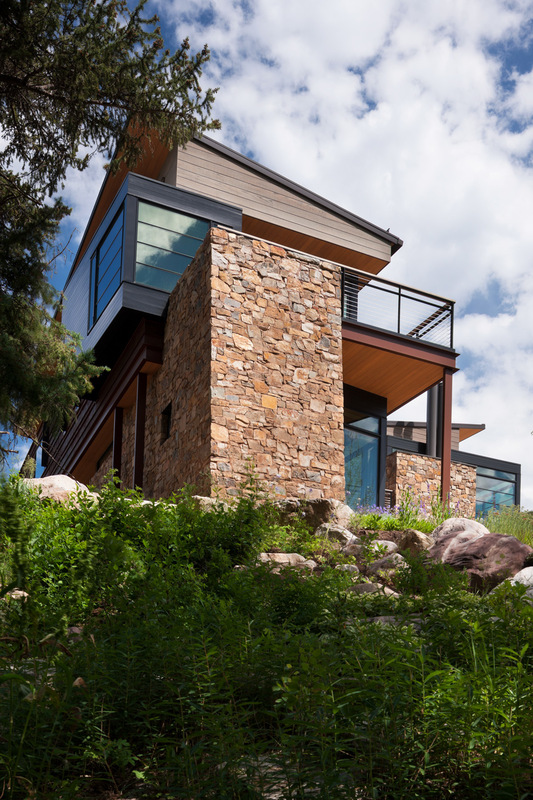 Bordered by a year-round creek, commanding Elk Mountain views and wetlands below, the floor plans are centered around two staggered, parallel building forms that create view opportunities while defining a variety of outdoor living spaces. 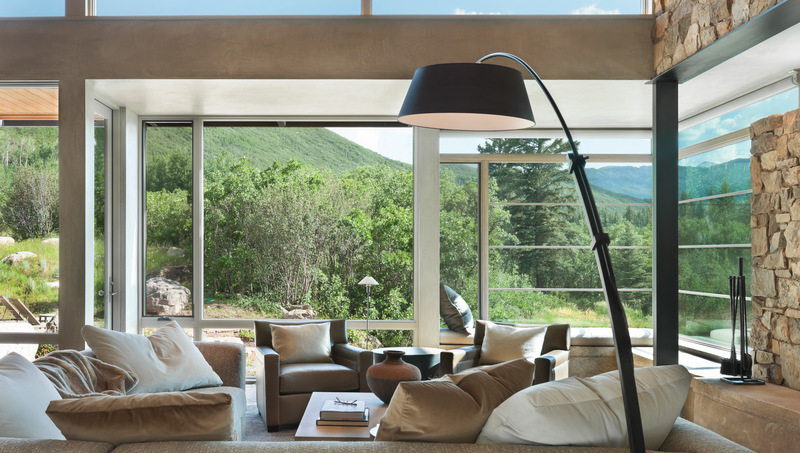 All family spaces open to an outdoor terrace. 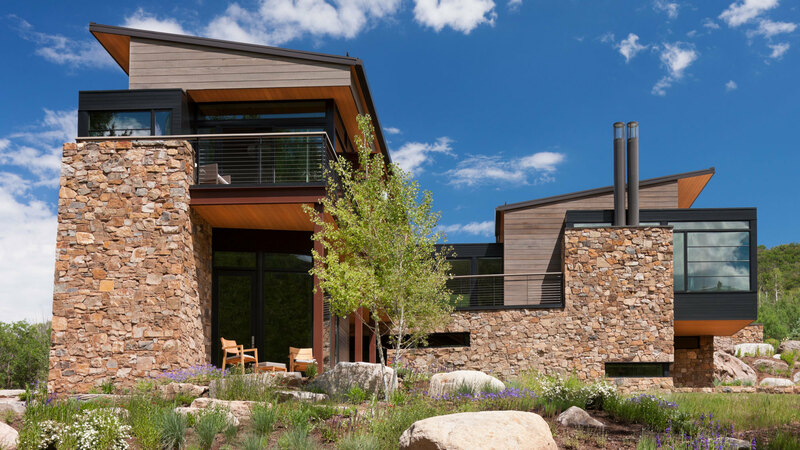 Interior stone walls meld with the outdoor kitchen, fireplace, and spa. 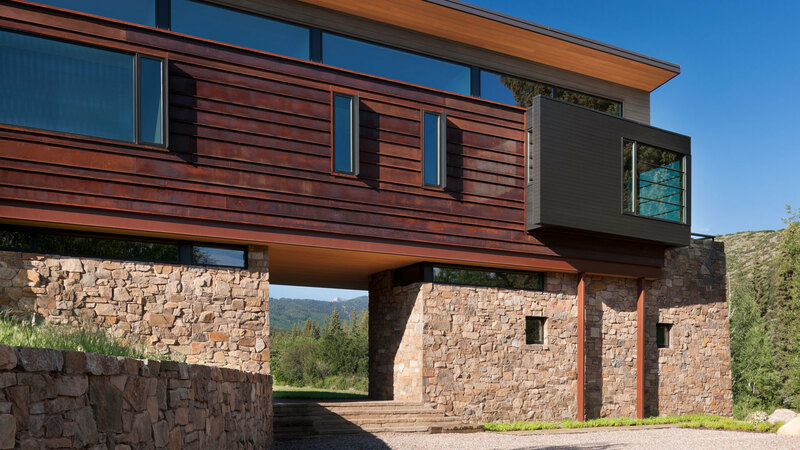 The exterior material palette also integrates with interior spaces and includes horizontal standing-seam Corten in varied panel dimension, native stone, stained cedar and contrasting architectural projections painted black. 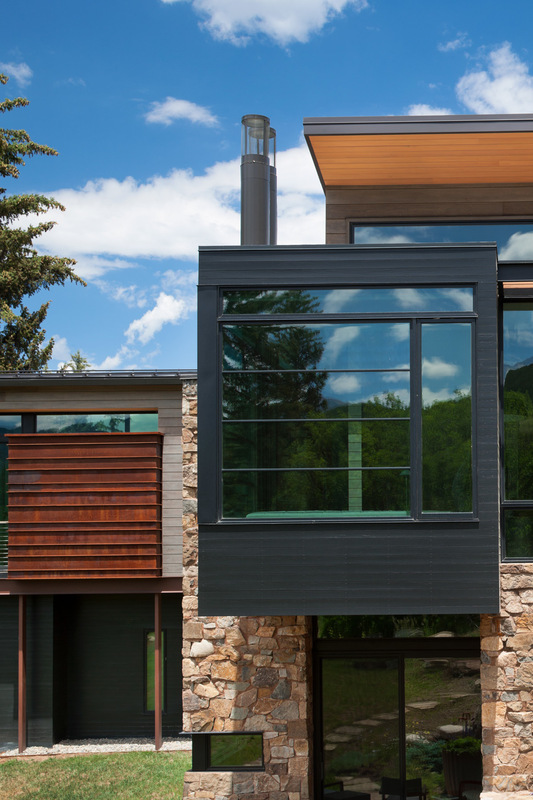 The roof angles were designed to utilize an assortment of southern-oriented 14 kW photovoltaic panels. A central stairway between the building forms connects entry and lower level functions to upper-level family spaces.